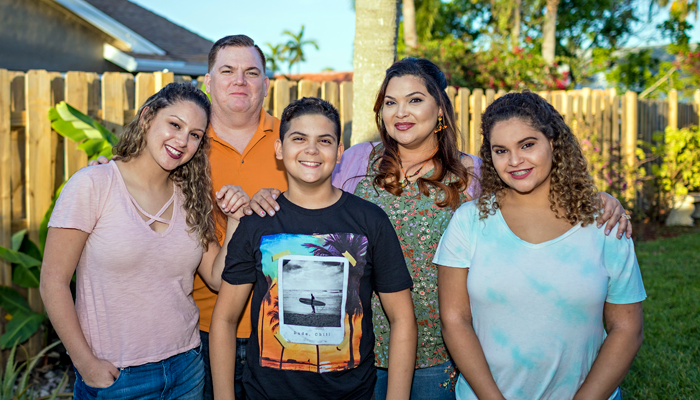 Adopting a Teenager - "We Are Never Too Old for Family"
(above, from left): Maci (adopted as a teen from foster care), Maci, Chris (dad), Christopher, Gigi (mom) and Carolyn, of Florida. “Home is where one starts from.” These simple words are from a poem by T.S. Eliot. For most of us, home and family are a given and, at times, something we might take for granted. Home is not only where we start from, but also a place we revisit throughout our lives—for comfort in times of sadness, for celebration in times of joy, and for daily support and love. Unfortunately, home and family are much more elusive and complicated for the tens of thousands of children in foster care waiting to be adopted. Today in the United States, more than 443,000 children are in some form of temporary out-of-home care or foster care, most often due to abuse or neglect they suffered in their biological family homes. For more than 123,000 of those children, the professionals charged with their care have determined that their biological family can never be safe enough for their return, and all parental rights and responsibilities have been severed. Permanently. That leaves these children in the custody of the state, waiting for an adoptive family and a home. Although children of all ages are currently in foster care, nearly 45 percent of the children waiting to be adopted are ages eight or older. Older youth in care experience not only the typical identity exploration, independence cravings, and adult testing that all adolescents experience, but must also grapple with the profound grief and loss that has surrounded their lives—all without a permanent family. Tragically, child welfare systems aren’t always looking for adoptive homes for older children and teens. Last year, more than 24,000 of these children had a case plan goal of emancipation, or long-term foster care, both of which consign a child to leaving the system without the security of a permanent family. Research shows that children who leave the foster care system without being adopted are at significantly higher risk of being homeless, undereducated, unemployed, substance abusers, parents at an early age, and/or involved in the criminal justice systems. The Dave Thomas Foundation for Adoption challenges the systemic notion that these children are unadoptable. That notion is unacceptable to us. For more than 25 years, the Foundation has successfully increased both the awareness of this cause and the need for qualified, well-supported foster and adoptive parents. Wendy’s Wonderful Kids, an evidence-based signature program of the Foundation, is working in all 50 states, D.C., and throughout Canada, for youth, like Maci, who have lingered in care for so long that they have given up hope for a family. When a rigorous evaluation of Wendy’s Wonderful Kids was released in 2011—revealing that children served by the program are up to three times more likely to be adopted—the Foundation began scaling this proven program across North America. To date, more than 8,000 children have been adopted through Wendy’s Wonderful Kids, and the average age of a child being served is 13. Myth 1: Older youth are nearly adults. They don’t need to be adopted. Reality: The complex adolescent and young adult years are critical to the formation of a happy and healthy adult life. Teens desperately need the stability, guidance, and love that only a permanent family can provide. Our need for family does not diminish with age. Myth 2: Older youth in foster care are there because they are juvenile delinquents. Reality: Youth are in foster care through no fault of their own. They have been removed from their families of origin due to abuse or neglect. Myth 3: An older child just cannot blend into a new family. Myth 4: It is too expensive to adopt. Reality: Foster care adoption is not expensive. It typically averages $0 to $1,500, and financial support is available to families who adopt from foster care. In addition, subsidies follow most of the children in foster care until they are 18 or 21 years old, many employers provide adoption benefits, federal and state tax credits are available, and assistance for college expenses is increasingly accessible. Myth 5: The biological parents can try to have the child returned. Reality: Once a child has been made legally free for adoption, birth parents cannot ‘reclaim’ the child or petition for his or her return. Foster care adoption is permanent. The adoptive parents may decide to maintain contact with the child’s extended biological family, based on what is best for the child, but that is a choice of the adoptive family. Myth 6: Single individuals or older adults cannot adopt. Reality: Unmarried individuals are legally able to adopt in all 50 states. Nearly 30 percent of the children adopted from foster care last year were adopted by single parents, and older adults are increasingly stepping forward to adopt. Every child deserves to live in a safe, loving, and permanent home. No child should linger in foster care or leave the system at age 18 without a permanent family. Every child, no matter their age or the circumstances of their journey through foster care, is adoptable. We are never too old for family. For more than 30 years, RITA SORONEN, president & CEO of the Dave Thomas Foundation for Adoption, has worked on behalf of abused, neglected and vulnerable children, providing leadership for local, state and national efforts working to improve the juvenile justice and child welfare systems, while striving to assure safe and permanent homes for North America’s children. Connect with Rita Soronen on Twitter at @rsoronen. 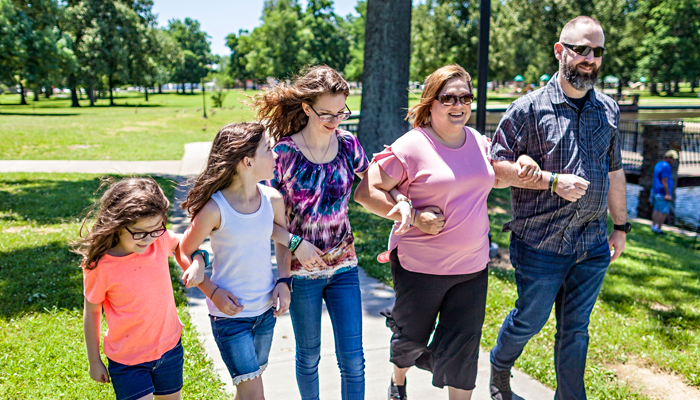 The Dave Thomas Foundation for Adoption is the only public nonprofit charity in the United States that is focused exclusively on foster care adoption. To learn more, visit www.davethomasfoundation.org, call 1-800-ASK-DTFA or sign up for their newsletter. In part one of our family's adoption odyssey, we make ..
View the replay of a webinar with adoption attorneys Denise ..
Have you considered growing your family through adoption from U.S. ..